There are many reasons to install window film on the car. The film protects against heat, insight and gives the car a whole new look compared to before. Our specially trained staff will help you tone the windows with the best window film on the market. We provide up to 10 years warranty on the window film. We have window film in several different tints having different light transmission. Our brightest film is almost completely transparent, but it still stops fifty percent of the sun’s heat radiation. Heat in the car is often felt uncomfortable for travellers and pets. Different shades of window film enhance the car’s visual appearance. 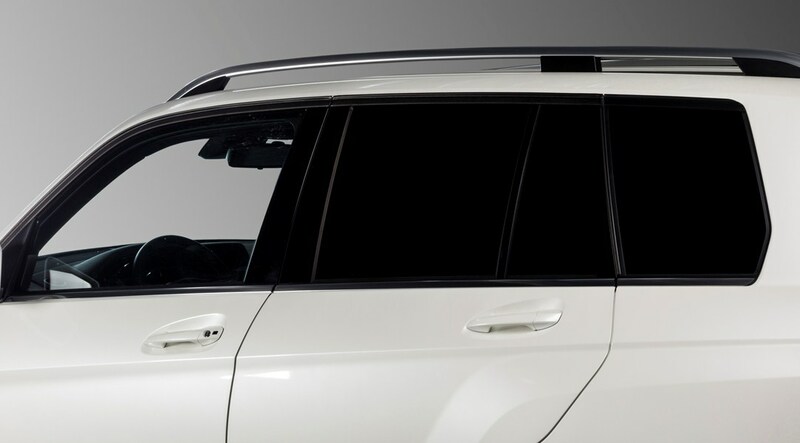 We have, for example, the darkest tint on the market that effectively protects against both heat and transparency.